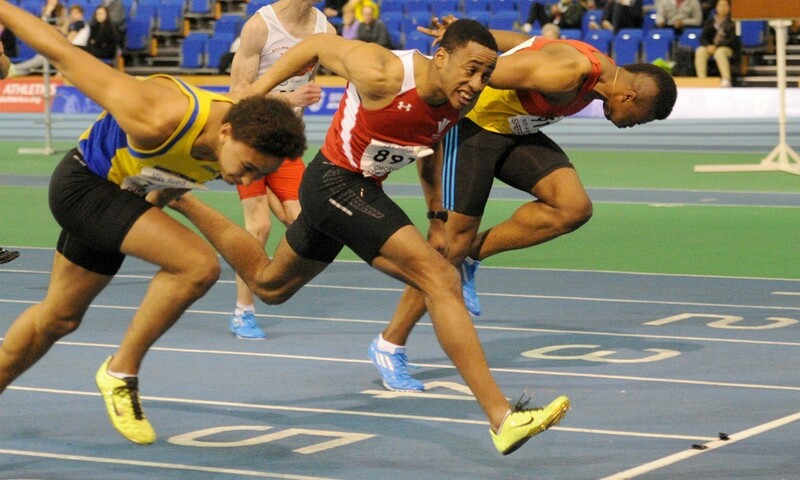 David Omoregie ran the joint second fastest ever junior 60m hurdles time in history at the Welsh Athletics Indoor International on Sunday. Clocking 7.50, the 18-year-old would have equalled Konstantinos Douvalidis’ 2006 world record had Frenchman Wilhem Belocian not run 7.48 seconds in his home country just a couple of hours earlier, pushing the Welshman’s mark to joint No.2 all-time. Omoregie bettered his own British under-20 record of 7.62 that he had set at the England Under-20 Championships a week before. “This is the first year I have concentrated on the hurdles as until now I’ve been a multi-eventer,” said Omoregie. “I’ve had a good winter and I couldn’t be happier with how things are going. Over in Canada and high jumper Emma Nuttall hit new heights, clearing 1.88m to add a centimetre to the Scottish indoor record set by Jayne Nisbet in Sheffield last month. It took her two attempt to get over her winning height before three failed attempts at 1.91m. Road race action in Trafford saw Nick McCormick and Helen Clitheroe victorious, McCormick running a personal best 28:56 to beat Ross Millington and Richard Weir and go top of the 2014 10km rankings. Clitheroe won the women’s race in 32:49 from Sonia Samuels and Louise Damen to also top this year’s ranking list for 10km and go second all-time on the V40 list.